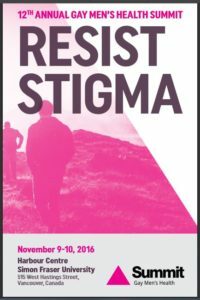 The 2016 Gay Men’s Health Summit will be held at Simon Fraser University on November 9 and 10th, 2016. 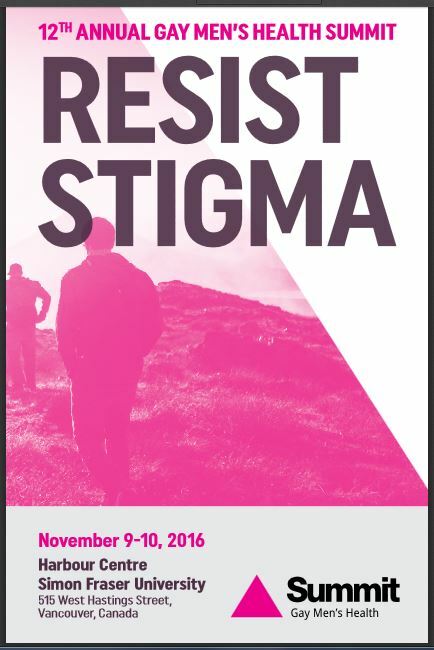 Over the two-day event, topics to be addressed include how technology and social media are helping to improve the health and well being of gay and bisexual individuals, challenges faced by trans men within the gay community, suicide prevention, racism, racial issues, and mental health. There will also be a workshop on the role Truth and Reconciliation recommendations can play in organizations. Click here to find out more about the Summit and to register for the event. This entry was posted in Announcement, Conference, Diversity, Gender, Healthcare and tagged bisexual, gay, health, population health, racism, stigmatization, suicide, transgender, wellbeing, wellness. Bookmark the permalink.